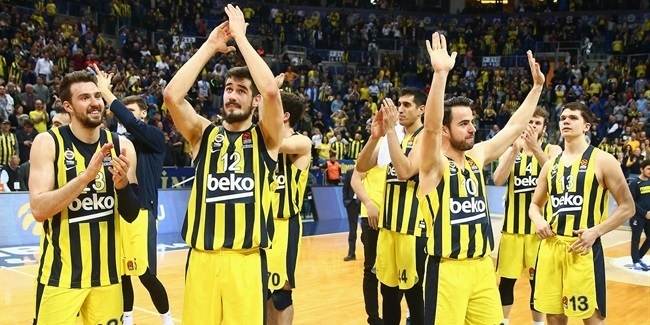 One of the great rebounders in basketball history, power forward Mirsad Turkcan of Fenerbahce Ulker, will end his playing career with a farewell exhibition game next week, his club confirmed on Thursday. Turkcan, 36, was a three-time All-Euroleague selection and both a regular season and Top 16 MVP over the last decade while leading two different clubs, Montepaschi Siena and CSKA Moscow, into the Final Four. Among several Euroleague records that Turkcan currently holds are those for pulling the most offensive rebounds, defensive rebounds and total rebounds this century - all despite playing many fewer games than at least the next 13 players on each of those lists. His retirement follows successive injuries that ended his last two seasons prematurely, although he remained second to none at his specialty, averaging 11.5 rebounds in his four full Top 16 games last spring. 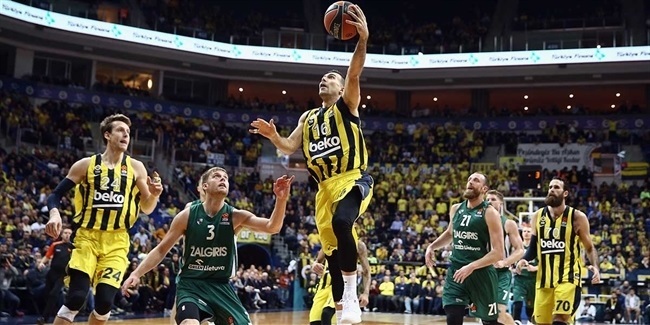 Turkcan's pro career spanned 18 seasons and saw him play for three other Euroleague clubs before wearing Fenerbahce Ulker's jersey over the last seven seasons. 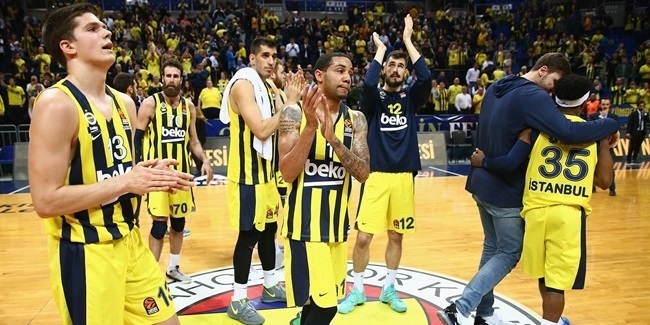 His goodbye game will be against CSKA Moscow, one of the two teams he led to a Final Four, on Sunday, September 16 at the Fenerbahce Ulker Sports Arena in Istanbul. Turkcan grew up in Serbia but turned pro with Efes Pilsen of Istanbul in 1994, at age 16, and was a double-digit scorer for the team each of the next three seasons. He spent the 1999-2000 season between two NBA teams, New York and Milwaukee, and the next one between Efes Pilsen and Racing Paris of France. Turkcan returned to the Euroleague for CSKA Moscow in 2001-02 and exploded for 13.9 rebounds per game in the regular season, an average that no player has topped since in any competition phase. His 23 rebounds against Buducnost on January 10, 2002 was the single-game record for five years, until Antonis Fotsis broke it with 24 for Dynamo Moscow in 2007. Of the six times in Euroleague history a player grabbed more than 20 rebounds in a game, however, four belong to Turkcan. He won the regular season MVP award in 2001-02 and was voted to the All-Euroleague team. The next season, with a new team, he matched those accomplishments and went further, pushing Montepaschi Siena of Italy to the Final Four in its first-ever Euroleague season thanks to his MVP performance in the Top 16. He returned to CSKA Moscow for the 2003-04 season and again made both the Final Four and the All-Euroleague team. Although he played the next season for Dynamo Moscow in the Eurocup, he returned to the Euroleague with Ulker of Istanbul in 2005-06 and again became the competition's top rebounder. Altogether, he led the Euroleague in average rebounds in five different seasons, the last in 2010-11 with Fenerbahce Ulker. Turkcan exits the stage leaving behind him a legacy on the boards that will be very difficult for anyone to match. He boasts 1,287 career rebounds, the most by anyone in the Euroleague this century, and 235 more than anyone else. What's more, his 129 career games are an average of 42.5 fewer than those that the next 10 players on the career rebounding list have played so far in their careers. Likewise his 385 offensive and 902 defensive rebounds are the most in those categories. His career average of 9.98 rebounds per game, diminished to single digits only by an injury suffered after playing just 2 minutes in his final game last spring, is the highest of any player with more than 65 career Euroleague appearances. Turkcan's rebounds pro-rated over 40 minutes would average 14.1 for his career, another record. His 49 career double-doubles are also a Euroleague best and he is one of only three men to record a 20-point, 20-rebound game.